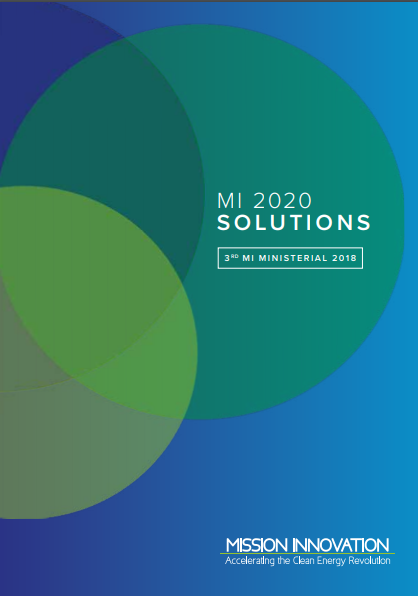 The latest report of Mission Innovation “MI 2020 SOLUTIONS – 3 RD MI MINISTERIAL 2018” focuses on innovative solutions to accelerate the clean energy transition. Hydrogen production, distribution, storage and use at a global level. In the section dedicated to sustainable fuels, the report illustrates the contribution of BIO4A to the decarbonisation of the European aviation sector. By scaling up the production of sustainable aviation fuel (SAF), BIO4A follows the path of ITAKA, a project funded by the EU’s Seventh Framework Programme for Research and Technological Development. BIO4A will demonstrate the first large industrial-scale production of sustainable aviation fuel in Europe (HEFA) out of residual lipids (i. e. Used Cooking Oil -UCOs-), while conducting a long-term R&D activity to explore the cultivation of drought-resistant crops in Southern EU/MED marginal lands. The production target within the project is 5,000 tons of HEFA. Along with producing the sustainable aviation fuel in the Total La Méde (France) refinery, BIO4A will test the market performance of each step of the entire value chain. Risk and sustainability assessments will be conducted and a market scaling strategy will be developed throughout business cases analysis. Finally, the sustainable aviation fuel will be used in commercial passenger flights operated by multiple European airlines. By this way, BIO4A will contribute to the Biofuels FlightPath Initiative, whose aim is to promote the market development of sustainable aviation fuels, as well as it will foster the achievement of European 2020-2030 renewable energy and GHG emissions reduction targets.